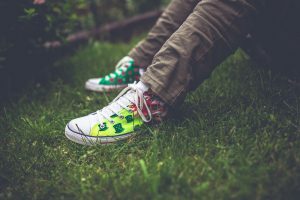 Parents of a young teen diagnosed with an Autism Spectrum Disorder have many things to consider when choosing a secondary school for their son/daughter to attend. Parents and the teenager themselves need to consider the pathway options available. Further assessments are likely to be undertaken nearing the end of the primary school years. These assessment outcomes along with school reports will help you to plan for the secondary years. These are your local neighbourhood schools that could be either Government, Religious or Independent/Private Schools. Distance and school population will be further considerations as schools cater for students entering from a number of primary schools. Are those schools that cater for students with additional learning needs and these schools could be disability specific. Remember that the decision you make can be changed at any time. While secondary school is another six years of school, the decision you make can change over the course of that time. When looking for a secondary school parents and the young teen may need to consider many things. Check out our Transition Checklist for Secondary School, Transition Checklist for Special School and SSG Meeting Preparation resources for more help. There is much to think about when planning the next educational transition to secondary school. Talk with your child’s primary school as they will have insights into what your child needs in regards to educational, environmental, communication and social supports in regards to future educational pathways.